I want to apologize straightaway for capitalizing on the baffling, yet wearisome global conversation happening around the color of a dress that was buzzing on the web last night (and if you’re reading this months later, I apologize for referencing something that has long been relegated to the dustbin of internet disinterest), but I think that the experience of cognitive dissonance (and indeed questioning of objective reality!) between those people who perceive a white & gold dress and those who obviously see the fabric as blue and black is analogous to what many of us at the Rethinking Hell project have experienced. I tried (and may have failed) to explain this in my Preface to our book, Rethinking Hell: Readings in Evangelical Conditionalism, but my own obsessive interest in studying the topic of hell (which, I mean, why would ANYONE make this an object of 20 years of study??) comes from a very similar experience to those who see different colors in the dress. How can we be looking at the same thing, but see something completely different? 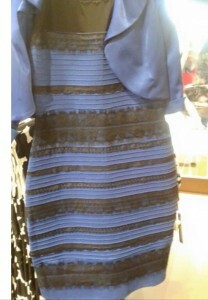 I was meeting last night with a couple for pre-marital counseling and I had just seen a post online about the different ways people were perceiving the colors of the dress, so I showed the photo of the dress to the couple, who had not heard anything about it. The bride-to-be immediately said, with a sense of bemusement as to my question, that the dress was dark blue and black. I turned the photo to the groom-to-be: white and gold. They looked at one another and at me; we were all baffled. How could this be? You’re looking at the same picture, but you see colors that are NOTHING LIKE what I see??? So it is with the biblical evidence for the nature of God’s final judgment upon those who have not accepted Christ’s offer of salvation. There are various groups of people who look at the same passages of Scripture and come up with vastly different understandings of what is going to happen to those who are not saved. I myself did not come to hold the position of conditional immortality (also called annihilationism) because I could not tolerate the idea that God would torment the unsaved for eternity in hell. To be honest, I did not think that much about hell, but I assumed that what I had learned in church growing up was accurate: rejecting God meant that you were separated from him forever, enduring the punishment for your sin and the deprivation of any grace and goodness. Why did it have to be forever? I didn’t know, but someone probably would have told me it was because each human being had an immortal soul that had to go one existing SOMEWHERE, right? and from Jesus’ own mouth (a verse that I hadn’t actually paid much attention to), “Do not be afraid of those who kill the body but cannot kill the soul. Rather, be afraid of the One who can destroy both soul and body in hell” (Matthew 10.28). But when I shared this new perspective with friends and fellow churchgoers, they would look at me like I was crazy. And I would look at THEM like THEY were crazy! Wait, I would say, you’re telling me you don’t see the same thing? Death, perishing, destruction, an “end to the wicked”–these things don’t mean what they sound very much like they actually mean? They see bright red and yellow, going on for eternity, where I see black and grey, vanishing into nothing. How can this possibly be? And there is a whole OTHER group (universalists) who see bright orange turning into gold! WHAT??!! 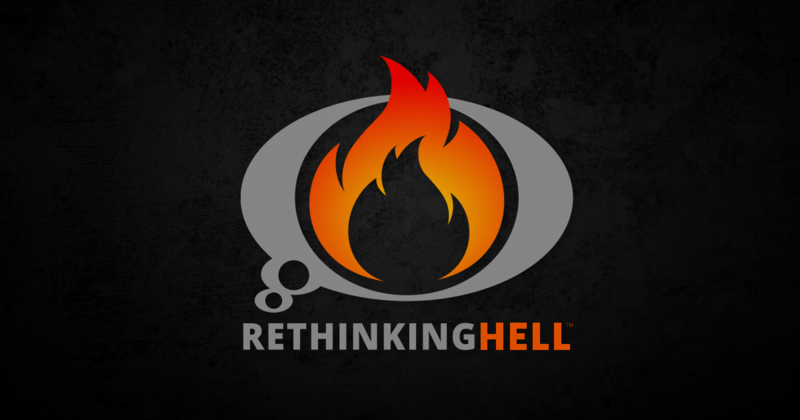 This perplexing and vexing situation–friends who are loved and respected by each other being unable to understand how the other cannot see what they see–is the reason why we are having our second Rethinking Hell conference at Fuller Seminary this June 18-20. We’d love to have you join us in sitting together, listening to how others see the biblical, theological, and philosophical evidence for one another’s views. You can read more about our vision and theme for the conference here. The colors that we perceive in the photograph of the dress may be some sort of optical illusion, but we do not believe that God’s Word deceives us in the same way. We should be able to seek out a more clear and accurate understanding of truth through careful study, prayerful contemplation, and charitable dialogue with other believers whom we admire and respect. Our hope is that, when it comes to God’s character and plan, we can move together toward the vision that Paul gave the church in 1 Corinthians 1.10: “I appeal to you, brothers and sisters, in the name of our Lord Jesus Christ, that all of you agree with one another in what you say and that there be no divisions among you, but that you be perfectly united in mind and thought.” May God lead us closer to this unity as we pursue greater understanding of the contents of His Word.